As most of you by now probably know I am obsessed with Instagram, it is the one social networking site I constantly spend most of my time on, a lot of people often ask me how I edit my pictures, or how I create the theme which gives my account the look it has. I take all of my Instagram pictures myself on my iPhone and edit them all using an app. With my photos I try and give them a dark, but vibrantly colourful effect. And this is how I do it…. First of all I wanted to say that the most important thing about creating a professional, good looking Instagram theme is to make sure that you apply the same effect to ALL of your pictures, you can’t decide you wan’t to theme your account but only apply it to some of your photos, or miss some out because they don’t suit it, that just doesn’t work. Once you have decided on a theme you must take photos that suit your theme, this helps give your account the well structured look you want. Step One: Firstly, you need to download an editing app, two apps I recommend are VSCO Cam and Afterlight. I personally use VSCO Cam to edit my pictures, simply because it is free and I like the features of the app itself, but I have used Afterlight in the past and know that you can achieve practically the exact same effect on it, but VSCO cam has been my preference for a long time. Step Two: Find yourself a theme! This is easier than what it sounds, You can experiment with the different filters and adjustment features on the editing app which you have chose until you have found a look which you like. 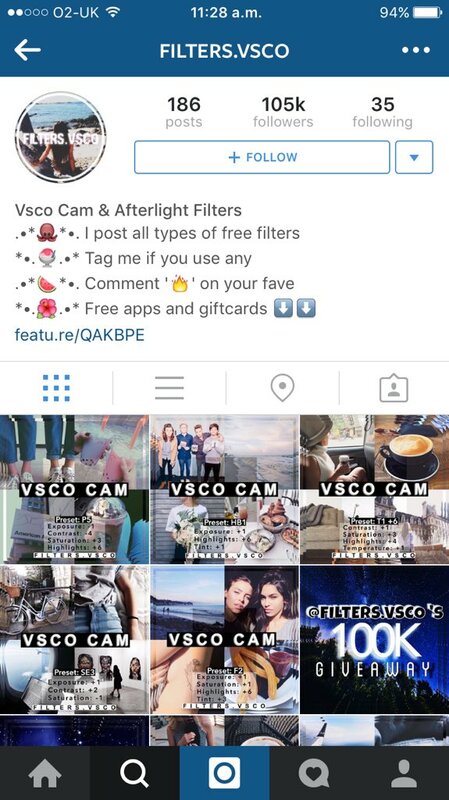 Or, alternatively you could search for some… On Instagram there are countless accounts which have already created themes and instructions on how to get them, such as the account shown below which features themes for both VSCO Cam and Afterlight. Step Three: Once you have found a theme you like screenshot it. 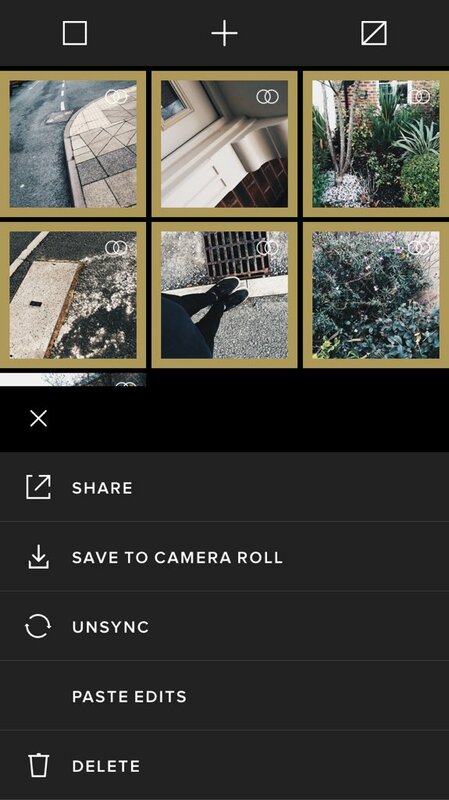 I’m not quite sure how Afterlight works, as I have used VSCO cam for a long time, but on VSCO Cam you can import all of the pictures which you want to edit and it lays them out in a 3 column grid. 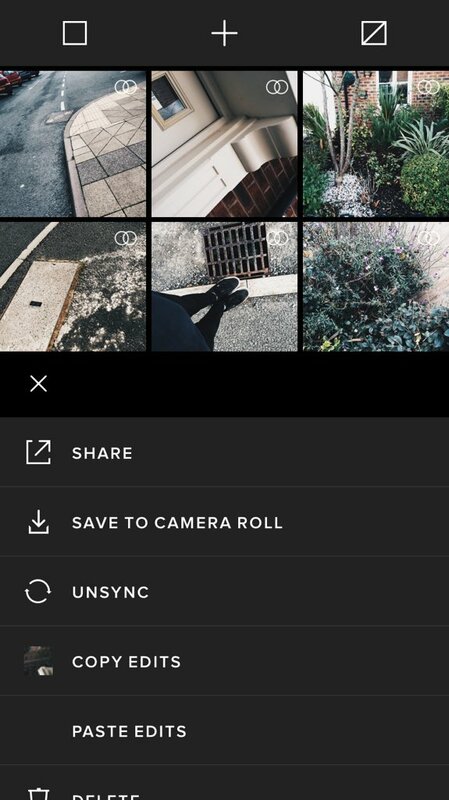 In VSCO Cam you can import the screenshot of the theme you want, and to that picture you can apply all of the steps which it says. This will be very useful for you. Step Four: Once you have edited that picture to the specifications of the theme, on VSCO Cam it allows you to copy the edits you have made. I recommend taking lots of pictures and importing them all into VSCO Cam, this means you will always have something to post and do not have to go out of your way to take a new picture every day. Once all of your new pictures have been imported copy the edits of your themed screenshot and paste them onto your new pictures, this means that you do not have to waste time re-editing every single picture. I try and upload at least one picture every day, this helps to keep your account active and consistent, but can be a bit of a problem when you don’t have lots of pictures to post, so keep taking them and keep editing them to the same theme and you will have a beautiful feed in no time.